Each page features at least one letter, giving readers a 3-D look at everyday objects. Far from didactic, this book encourages readers to take in the images on each page and understand how the represent the greater alphabet. 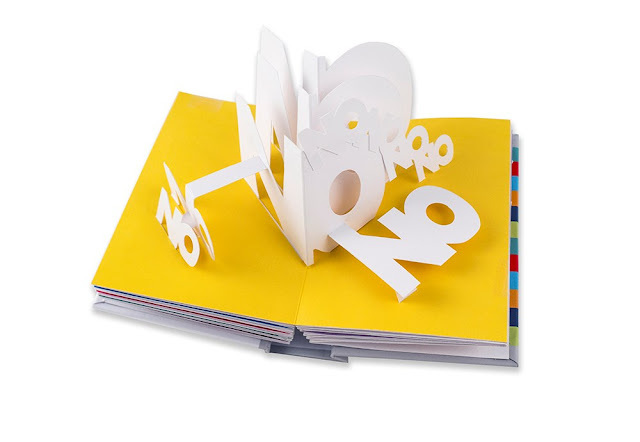 While there is no text, there are embossed letters to help guide readers along. But the embossed letters hardly get in the way of experiencing the book. Rather, it's completely up to readers to examine each pop-up and determine how letters are being featured. Some letters are straight-forward, like an apple for 'A,' but as multiple letters appear on the same page, it gets more complicated, like a pop-up of a bed with an embossed 'P' and 'Q'. Readers have to understand for themselves the visual cues provided and piece together a puzzle: the 'P' is for pillow since it's embossed on the pillow, and as for what kind of blanket begins with a 'Q', it must be a quilt. It's a lovely way to play with the alphabet and subvert expectations. 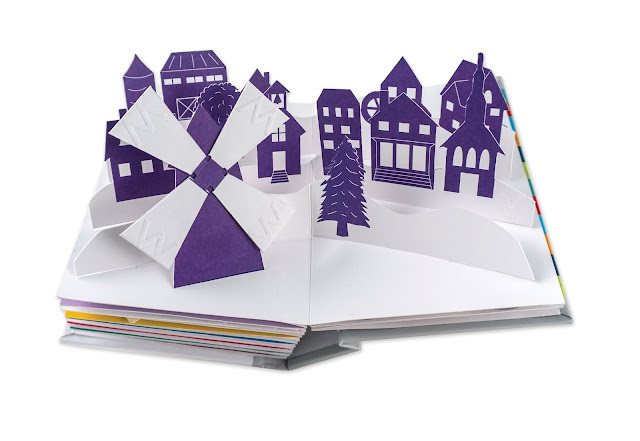 Not to mention the book itself is VERY tiny, which makes it so much fun for little hands! 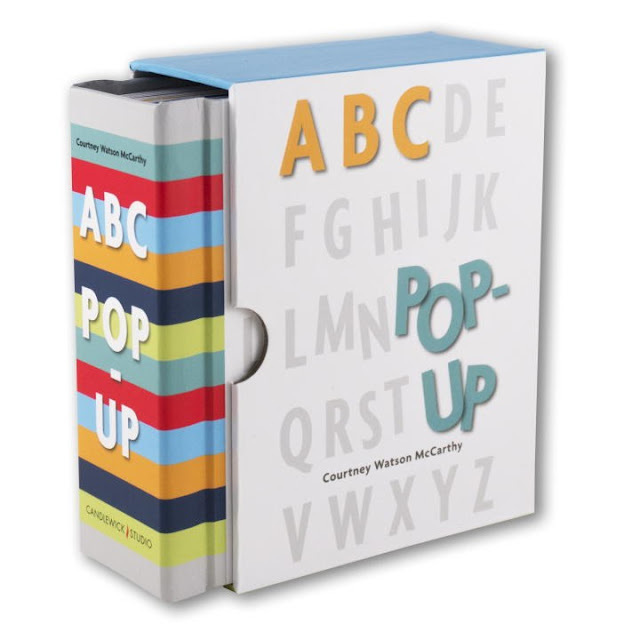 ABC Pop-Up published from Candlewick Studio in September! ABC POP-UP. Copyright © 2017 by Courtney Watson McCarthy. Reproduced by permission of the publisher, Candlewick Press, Somerville, MA.